When the cod stocks collapsed, the population also plummeted in the fishing villages around Newfoundland. 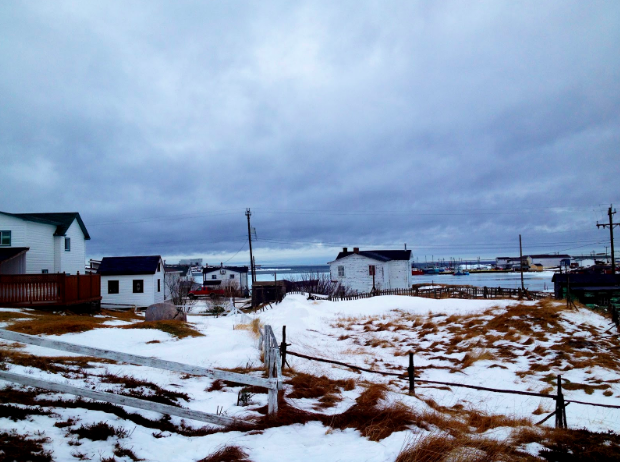 But Fogo Island's residents stayed put and reimagined a new way of moving forward. Winter is a quieter time on the small island in the North Atlantic, where the wind howls and the cod bide their time underwater. Out on the North Atlantic on the eastern edge of North America, the December winds howl as we make our way on the ferryboat from Farewell to Fogo Island before driving another half hour to the Fogo Island Inn on Joe Batt’s Arm. This last stretch of the journey has been preceded by a flight to Gander, Newfoundland (the real-life inspiration for the Broadway hit, Come From Away), and another hour-long drive to the ferry terminal. So getting to the inn isn’t the easiest thing in the world. But then again, nothing on Fogo, a wee island outpost that roughly measures 15 1/2 by 8 4/5 miles, has ever been easy. The isolated people here lived and died by the sea ever since this land was settled by the English and Irish (plus some Scots and French, hence the warbly accent) who came to fish for cod. Everything was going as well as it could here until factory fishing trawlers appeared on the horizon in 1951, devastating the once plentiful cod stocks and, for the most part, the Newfoundlanders’ way of life. In 1992, the Canadian government imposed a moratorium on East Coast cod fishing, thinking the depleted stocks would rebound. This turned out to be the final blow, as 30,000 families from 500 small communities dotting Newfoundland were left with empty nets and a likewise future. But on Fogo Island, things were different. The fact that they voted against the provincial government’s offer of resettlement in the 1950s ended up saving them. Instead of moving, the islanders decided to stay and adapt, forming a fishing cooperative and switching gears to pursue crab, lobster, and shrimp, waiting for the day that the cod would return. 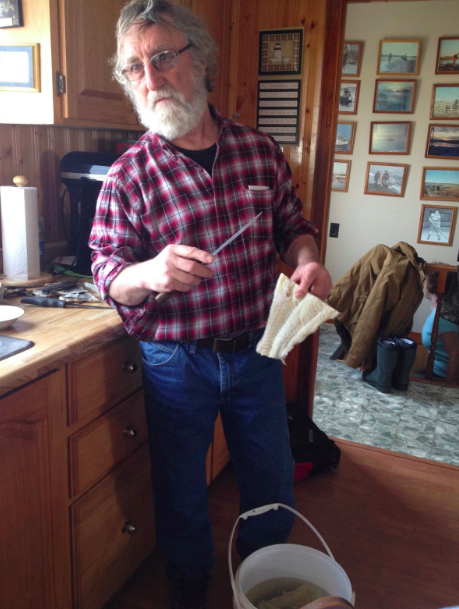 Fogo fisherman Roy Dwyer shows off some of his cod catch, dried for winter, in his home. Christine is frying up cod in the pan, along with their tongues, and the mashed potatoes are good to go. 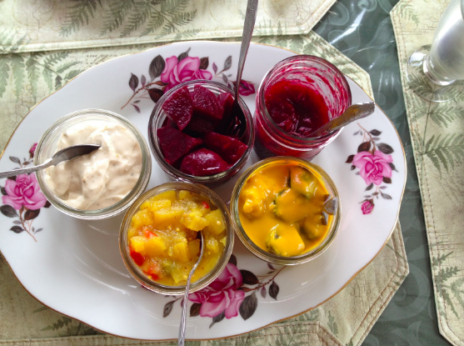 “Roy caught the fish and, of course, the tongues came with them,” she says, “and the potatoes are from our garden.” A color burst array of canning jars lands at the center of the table: homemade pickled beets, tartar sauce, and million dollar pickles. It’s all just too good. A color burst array of canning jars lands at the center of the table: homemade pickled beets, tartar sauce, and million dollar pickles. In Newfoundland and Labrador, Canada’s easternmost province, hospitality is practically a contact sport, where dinners turn into kitchen parties full of song, fiddles, and dishes that reflect the warmth of the locals. But always, at the heart of it, is cod. It’s also always on the menu at the 29-room Fogo Island Inn, a beacon for luxury, sustainability and community building. The inn was imagined and built by the Shorefast Foundation, a multifaceted local entity that includes micro-lending to business-minded islanders, helps support the Fogo Island Fish program, and created the Fogo Island Arts program (four modernist studios are occupied by international artists on months-long residencies). The studios were designed by Newfoundland-born, Norway-based architect Todd Saunders, who also created the largest Shorefast prong – the inn itself, a stunning statement on stilts overlooking the Atlantic. At the inn’s cozy little theater where I’m lounging in my plush recliner with one eye on the candy cart, I’m eagerly waiting to watch a documentary about Fogo. Alan Cobb, who helped found the Shorefast Foundation, gives me some context to go along with my popcorn. “Way back in the 1950s, when I was a young boy, we had about 6,000 people on this island,” he says. Fogo was home and fishing was everything. But through the ups and downs of politics and overfishing, the population has flat-lined at around 2,400. After having fished sustainably for 400 years, by the time the 1960s rolled around, there was just about no more fish to catch. And this place needs fish. “Staying here at the inn, it’s not just about the nice view, the food, or the soft bed,” explains Cobb. “It’s not enough. Without a culture or a community, this island dies.” The good people of Fogo would not, could not, let that happen. So they stayed put, and did what they’ve always done. They fished. “We use our old method of catching fish, one by one, the most environmentally sustainable way possible,” says Cobb. The fish is caught with a hook and line; the fishermen only catch the cod in small quantities, about 500 or 600 pounds per day. Once back on land, the cod are filleted and then frozen with special technology to bring the fish to market in the very same condition it left the plant. It’s the most pristine cod I’ve seen, and has already made its way onto 30 high-end menus across Canada. In fact, I’ve eaten Fogo cod at many of the best restaurants in Toronto and Montreal, where it is a prized catch. Back in the theater at the Fogo Island Inn, upon learning about the fishers of Fogo, the National Film Board of Canada dispatched a team and shot a documentary about the island and its fish. It’s called, “Hand. Line. Cod.” and it premiered at the Toronto International Film Festival last year. It’s a wonderful short doc by filmmaker Justin Simms, about a gritty island holding steadfast to tradition; a culture based on the burden of survival. It’s a place for which I’ve fallen, hook, line and sinker.